One Old, One New features two books - one old, one new, which are connected in some way. 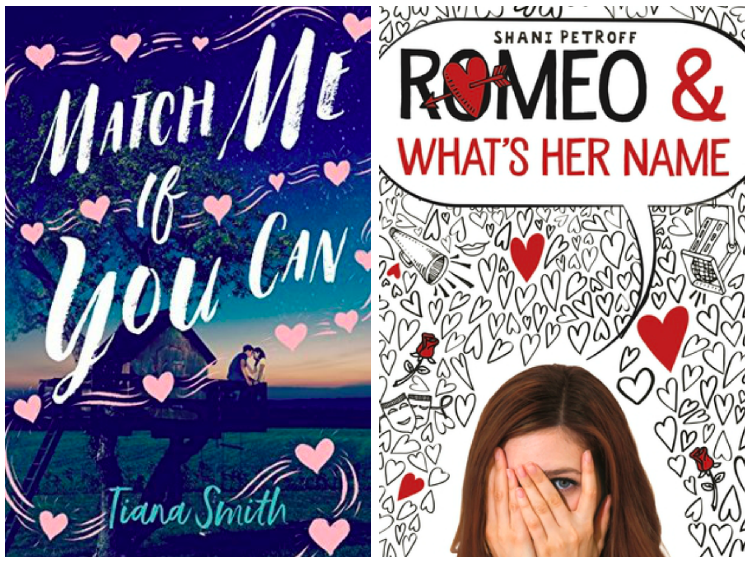 Today, I am sharing two adorable romances from one of my favorite imprints, Swoon Reads. Trying to beat her bestie's matchmaking system, Mia goes over her head to ensure at least one date with her crush, Vince. But, looking good on paper doesn't necessarily translate to a love match, and Mia learned that the hard way. This was a hate-to-love romance, which is always pleasing for me. Although I feel like there was some history missing, I did enjoy the tension between Mia and Logan. I loved the way he was always able to push her buttons to get her adorably flustered. Mia's goal was to get a date to the homecoming dance, and apparently, this was a big deal at their school. Because of that, I was treated to a few fabulous grand-gesture type dance-posals, which delighted me. There's a lot of rom-com in this this book. Mia really made a hot mess of everything, and it spilled out in a chain of high school hijinks, which were quite amusing. I have no idea what was wrong with Mia, because I was #TeamLogan all the way. He came off as a real laidback guy without a care in the world, but he slowly revealed there was a lot more to him, than Mia originally thought. Aside from that, I found he was one of the more honest characters in the book, and he may have resorted to some subterfuge, but he still couldn't even fully commit to it. If that wasn't enough, those treehouse scenes and the way he interacted with his younger sister should have sold him as the top choice in the competition for Mia's heart. I know you will see this book referred to as "fluffy", because it was a fun and light read, but it also explored the idea of looking beyond the surface and finding the real person underneath. Vince might have been Mr. Golden Boy, but Logan possessed many qualities, which he kept under wraps, and made him just as golden. Overall: A charming, "fluffy" romance, which contained the perfect balance of humor, drama, and swoons.
. . . which is why being Juliet's understudy in the school's yearly "Evening with Shakespeare" is the perfect role for Emily. She can earn some much-needed extra credit while pursuing her main goal of spending time with Wes, aka Romeo, aka the hottest, nicest guy in school (in her completely unbiased opinion). And she meant to learn her lines, really, it's just: a) Shakespeare is HARD, b) Amanda, aka the "real" Juliet, makes her run errands instead of lines, and c) there's no point because Amanda would never miss the chance to be the star of the show. Wes became Emily's Romeo the day he helped her learn to rider a bike, and he was finally unattached! The time had arrived for Emily to make her move and show him who his Juliet really was. Warning: This book may cause your face to ache from smiling too much. 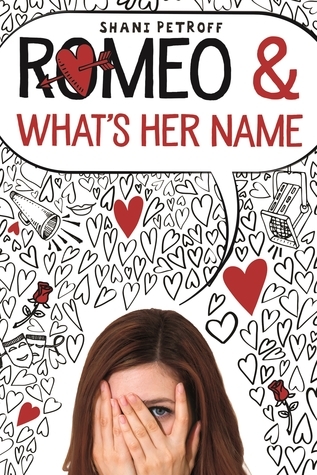 Romeo and What's Her Name was one really cute and fun little rom-com. First we had Emily, who had a very I-Love-Lucy-esque manner about her. Whenever she got into things, one thing always seemed to lead to another, which usually left me giggling. She was adorably awkward, and suffered from misreading signals and jumping to conclusions, but MAN! When she finally decided to just go for it, she went BIG. Not only was Emily fabulous, she had two fantastic friends, who were always encouraging her and helping her pick herself up when she stumbled. These girls had a wonderful habit of putting each other first, and I thought they were all really fortunate to have each other. I sort of enjoyed all the Shakespeare. I liked how the various scenes were woven into the story, and the teenage commentary on the plays was fun as well. The Romeo & Juliet scene was quite amusing and heartwarming too. And then there was Wes. I was sold on Wes immediately. He was kind and sweet and the way he looked out for his little brother, it all just tugged at my heartstrings. There was also the friends-to-more romance, which was too adorable. I had so much fun watching their relationship grow. It was obvious, that each of them were into the other, and at times, I just shook my head, wondering how they couldn't see it too, but I still enjoyed seeing it all unfold. Overall: A super fun, super cute, fluffy read, which made me giggle, laugh, and smile. LMAO, What's her name? That title cracked me up so much! Have to say just reading your reviews for both made me smile so hard! Swoon really does have some gorgeous gems! It was really cute the way Petroff worked the title into the story. I love cute and fluffy books. Oh wow, I am going to need Romeo and What's her name because I love Shakespeare so much lately and I love when it comes to reading funny books. I love to smile and laugh out loud when reading! I don't think I will read the first one because I think the love triangle will frustrate me especially when one guy is clearly the better choice. I do like the sound of the hate to love romance though!! There is a quite a bit of the play featured and also, the characters' reactions to the play. It was very cute. Match Me had a triangle only in Mia's head. It was clear who she should be with, who she liked, and who liked her back. Romeo and What's Her Name has been on my TBR for so long. It definitely sounds like my kind of book and need to bump it up! I am glad I finally read it. That is the adorable story telling that made me want to read more of Petroff's books. This one felt more like Crush to me than her last release. What fun books and reviews! It's odd that I watch movies that are along these lines but don't read near enough of the books. Both of these sound like great fun. I live for the cute and fluffy. You know where you'll find me every Saturday night? Watching a new Hallmark movie. I need the sweet and heartwarming always. 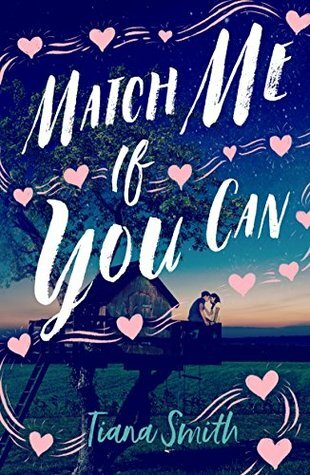 At first, I wasn't sure about Match Me, but when I read the book, I fell in love with the treehouse on the cover. Your mom knew the truth. Swoon Reads always seems to put out solid books! I just finished up a Shakespeare class this semester, so I'm a little Shakespeare-d out, but I like the sound of Romeo and What's Her Name! Adding that to my goodreads now. :) Thanks for the recs Sam! I like my books on the lighter side, and Swoon always gives me a fun and light read, which leaves me happy. These are both on my list, so I'm really happy you enjoyed them both. I always feel a little disappointed when the characters are lacking history, but I do love a good hate-to-love romance! The fact that it's also a rom-com is definitely a bonus. Have a lovely week, Sam! I don't think they were lacking history, I just think I didn't get the full backstory. There had to be more to it for Mia to have the feelings she had about Logan. But, it was fun and cute and Logan actually had a lot of depth. Cause my face to ache from smiling too much? Sounds like a winner, for this time of year especially. I will always pick the book that makes my face hurt from smiling. So fun and cute. It was a lot of fun. Cute and sweet and sometimes silly, but definitely enjoyable. Both of these sound great. I think that working a bit of Shakespeare into the story is pretty unique. Glad you enjoyed these, Sam! There were pieces of the play, and other Shakespeare woven within in fun ways. These sound so cute! I actually have a copy of the first one, but I have to be in a very specific mood for contemporary fiction. I'll definitely keep it on the shelf! Thanks for sharing! I am pretty much fluffy contemporary all the time, so these really fit my reading style. They're great when you are looking for something light and fun with a guaranteed HEA. Romeo was really cute. It's a short fun read, and I laughed and smile a ton. Definitely a good pick-me-up type book. Swoon Reads are always fun. And I'm a big fan of hate to love too. I have such good luck with their titles. They just seem to fit what I am looking for each and every time I pick one up.